WELCOME IN THE CATALOGUE OF ELECTRICAL ACCREDITATION TRAININGS! 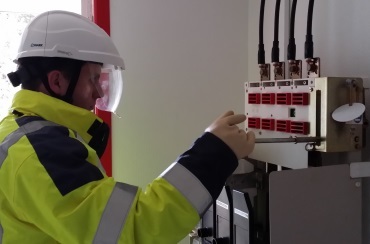 Any worker (employee or independent) working near or in direct contact with electricity has to be "accreditated NFC18-510": He/she must have attended an electricity-related safety training and have passed the tests proposed at the end of each session. Following this training, the trainer provides an accreditation proposal. This accreditation is valid 3 years (on a same workstation). Knowing the legal frame of the new NFC18-510 standard; How can one define at best our staff accreditation grades? What are your responsibilities once you have signed the accreditation titles?